Humans did not discover fire--they designed it. Design is not defined by software programs, blueprints, or font choice. When we create new things--technologies, organizations, processes, systems, environments, ways of thinking--we engage in design. With this expansive view of design as their premise, in The Design Way, Harold Nelson and Erik Stolterman make the case for design as its own culture of inquiry and action. They offer not a recipe for design practice or theorizing but a formulation of design culture’s fundamental core of ideas. These ideas--which form “the design way”--are applicable to an infinite variety of design domains, from such traditional fields as architecture and graphic design to such nontraditional design areas as organizational, educational, interaction and healthcare design. Nelson and Stolterman present design culture in terms of foundations (first principles), fundamentals (core concepts), and metaphysics, and then discuss these issues from both learner’s and practitioner’s perspectives. The text of this second edition is accompanied by new detailed images, “schemas” that visualize, conceptualize, and structure the authors’ understanding of design inquiry. This text itself has been revised and expanded throughout, in part in response to reader feedback. Harold G. Nelson was 2009–2010 Distinguished Professor of Design at Carnegie Mellon University and is currently Senior Instructor in the Graduate School of Business and Public Policy at the Naval Postgraduate School and President of Advanced Design Institute. Erik Stolterman is Professor of Informatics and Dept. Chair in the School of Informatics and computing at Indiana University Bloomington. 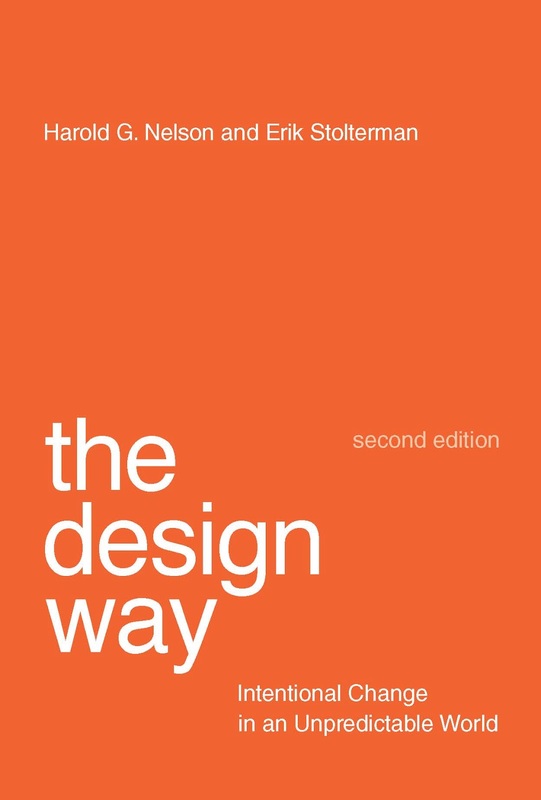 "The second edition of The Design Way is the most useful and enjoyable book on design that I have yet read. It digs very deep into the intellectual and historical foundations of design thought in order to generate practical wisdom. If only the first chapter of this book was required reading for every first-year MBA student, the business world would be a much better place. And if it was also required reading for every science and technology policy person, we would actually have useful innovation policy. Harold Nelson and Erik Stolterman have produced a genuinely great contribution." And I absolutely agree with author of this quote. yeah! Thank for sharing this information. Here i want share about Dermatique for health care center in banjara hlls. Dermatique will provides the Beauty, skin, hair, nail and cosmetic with experienced doctors. We are pleased to welcome you to the new ODC (Organizational Design Competence) design consulting site. We welcome inquiries from organizations, institutions, and individuals who are interested in discussing their desire to explore strategies for the development of design competence in their work settings. ODC brings substantial depth and breadth of expertise and experience to the field of design thinking and design action in organizational contexts. Design has become a key competence in organizations as diverse as the US Army and Apple. Interest in design has moved well beyond the traditional fields of commercial and material design. We invite anyone who is interested in collaborating with us on the development of design competence in their organizations to contact us. New site for the "The Design Way"